New to Doorposts? Here's a good place to start! 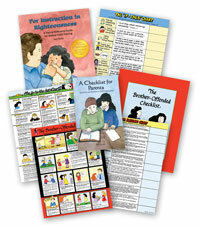 For Instruction in Righteousness - The 366-page topical reference guide for biblical child-training. A Checklist for Parents - Questions and Scripture for self-examination. Welcome to Doorposts! We're delighted and privileged to join you in raising up children who know, love, and serve God. Our Bible-based tools will help make your job easier.